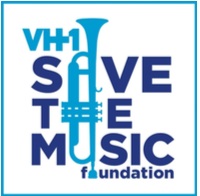 Diller-Quaile is honored to launch a new partnership with VH1 Save the Music Foundation. Together, our organizations will be working in pursuit of our shared goals to provide Music for All to New York City public and charter schools. During the 2018-2019 school year, Diller-Quaile and VH1 are beginning to develop pilot partnerships with PS102 in East Harlem and Thurgood Marshall Academy in West Harlem. Diller-Quaile is collaborating with the music faculties and administrations of these schools to provide additional instructional support, teacher development, and creative resources. In order to develop these partnerships, and to help provide equitable access to music education for children and youth in Diller-Quaile’s Community Programs, Diller-Quaile needs your help! We encourage individuals and businesses to make a difference by contributing a DQ Micro-Grant towards Diller-Quaile’s Community Music Programs. DQ Micro-Grants of any amount provide valuable support for Diller-Quaile’s Community Music Programs. Donors and businesses that contribute a DQ Micro-Grant of $500 or more will receive a Community Programs Sponsorship Certificate acknowledging their valuable contribution towards music programs in their area.